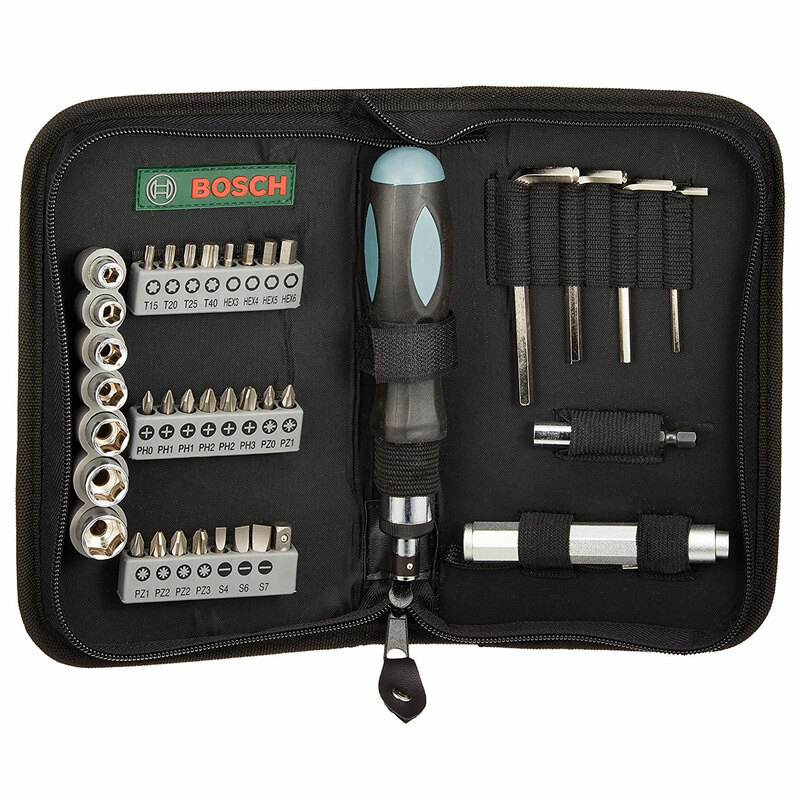 Equipped to handle virtually any project, a comprehensive screwdriver set for the keen DIY enthusiast. Ideal for fixing, repairing and mounting jobs. 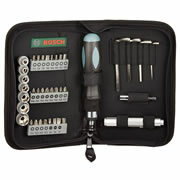 38-piece screwdriver bit set includes a range of Phillips, Pozidriv, Hex, slotted and Torx bits as well as nutsetters and adaptor, torch and universal bit holder. 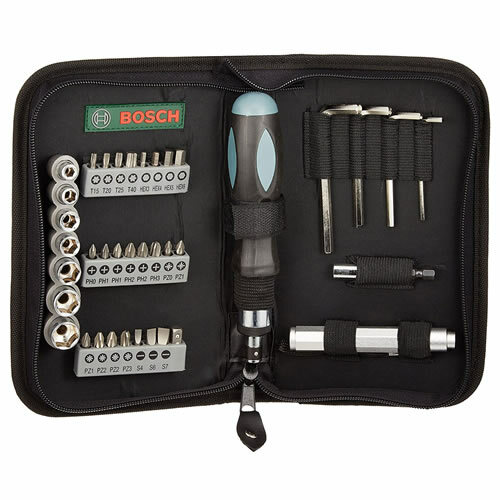 Set includes the following bits: Phillips PH1, PH2, PH3; Pozidriv PZ1, PZ2, PZ3; Torx T15, T20, T25, T40; slotted 4mm, 6mm 7mm; Hex 3, 4, 5 and 6. Also nutsetters 5mm, 6mm, 7mm, 8mm, 10mm, 11mm and 13mm.